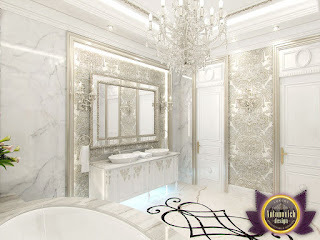 Shine of the interior bathroom attracts the viev. 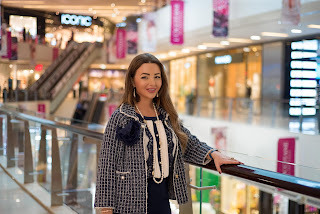 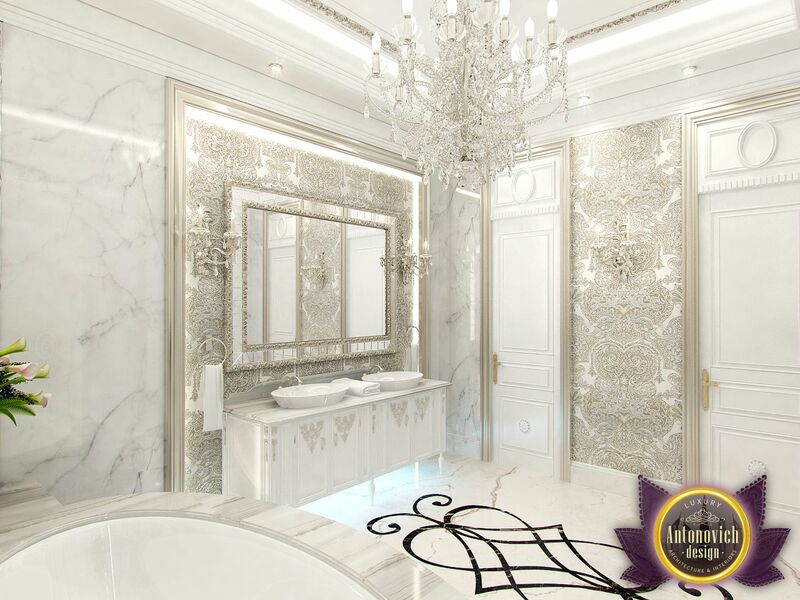 Designers Studio Luxury Antonovich Design offered light and bright image. 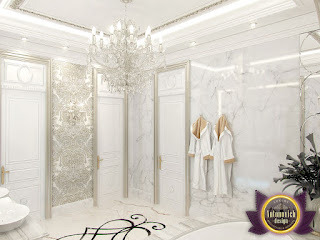 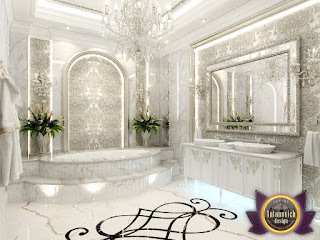 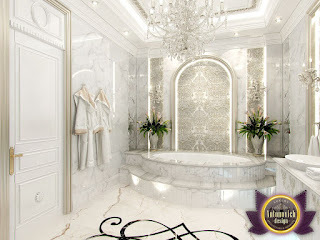 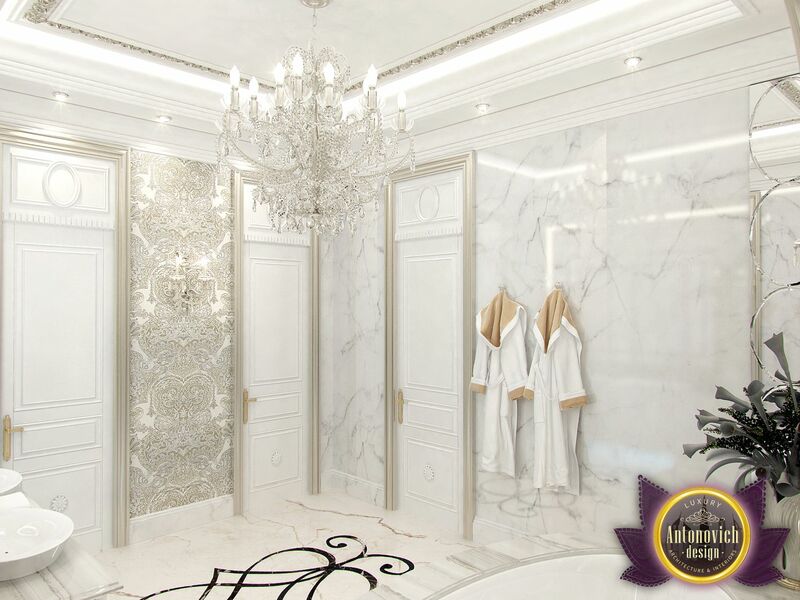 Basis of the bathroom decor are white marble. 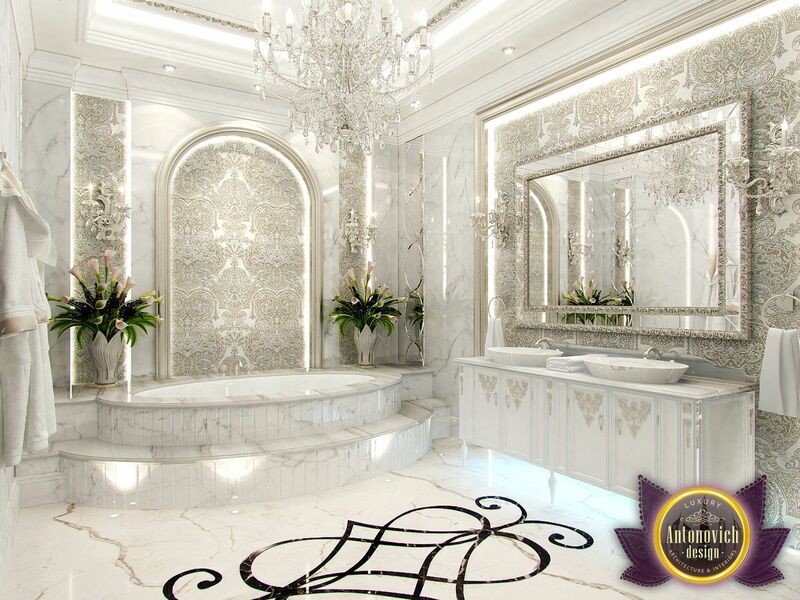 Additional lighting and mirrors enhance the effect of freshness and pure notes of modern luxury.